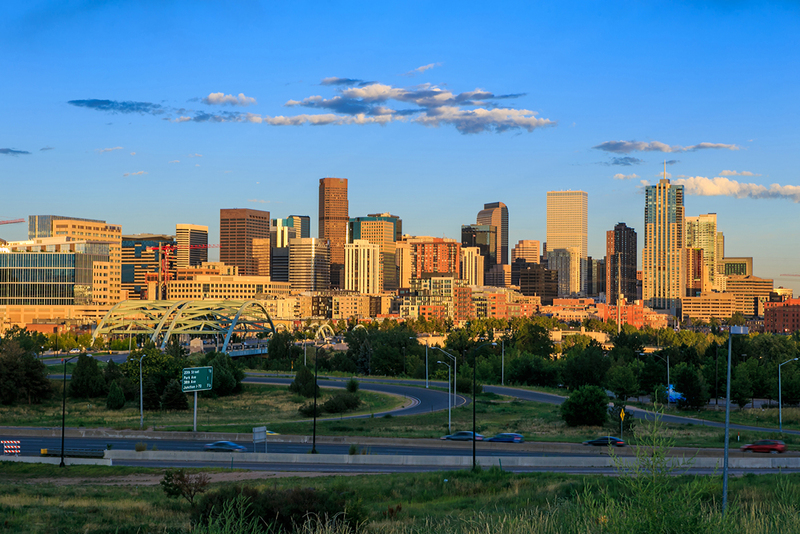 It wasn't too long ago that Denver was still considered a cow town. That's all changed now, thanks to those who saw the city's potential. But it took more than vision, it required brave leadership to guide Denver into it's place as a world class city. As President and CEO of the Metro Denver Economic Development Corporation, Tom Clark would never accept any credit, but his leadership inspired the spirit of cooperation that transformed Denver's economy and overall growth. "For us it's always been an issue of diversification of the economy. If you think about the economy thirty years ago here it was Coors, Carbon, and the Coldwar. That was it. If one of them went down, things got really bad here. So the goal in economic development is try to get the economy as diverse as you can." says Tom Clark. Combined with attracting cutting edge industries, such diversification provides a strong, long-term economy that provides good jobs. In order to build that economy, Clark focused on collaboration, and avoiding political turmoil by establishing a code of ethics shared by surrounding communities. Denver and neighboring towns worked together to attract businesses, build DIA, creating FasTracks, sports stadiums and more. For all of these advancement, Clark credits the remarkable "Grace, humility and teamwork" displayed by all of the leaders in Denver's metropolitan community. Learn more about his remarkable collaboration efforts Saturday at 1:00 on 710 KNUS. We also encourage you to have a laugh by watching this video honoring Tom Clarke as the Most Interesting Man in Metro Denver. Listen Saturday at 1:00 PM on 710 KNUS – Please let us know what you think of our program, either by commenting here or on Facebook at Connect & Collaborate with ICOSA or join the discussion on Twitter @ICOSAMagazine.